Elwer Fence is certified and able to install many different types of gate operators depending on your needs. Our primary gate operator distributor is Nortek Security & Control (formerly Linear). 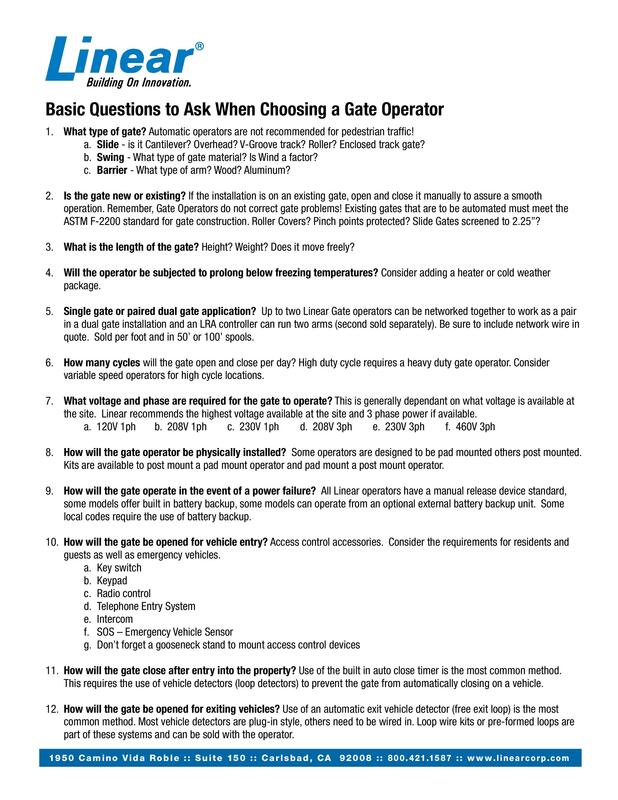 Below is a helpful brochure of some points to consider when you are in need of a gate operator for your gate or fence installation.